Hydraulic Modular Test Bench is based on a standard chassis and custom tools, it could test several hydraulic components for example solenoid and gearbox. DAM has been designing test machines for gearbox modules for over 15 years. 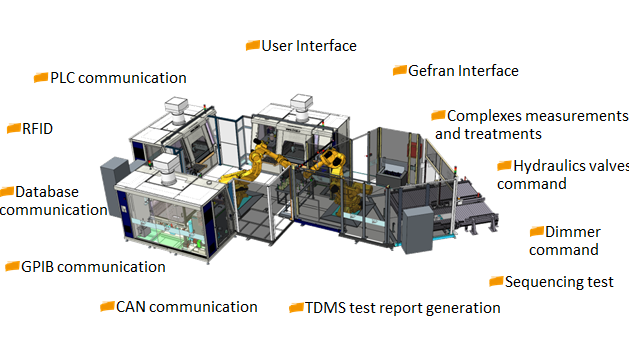 A first technological step was made possible by the modular machine concept with interchangeable smart tooling that allows to meet the needs for flexible manufacturing. 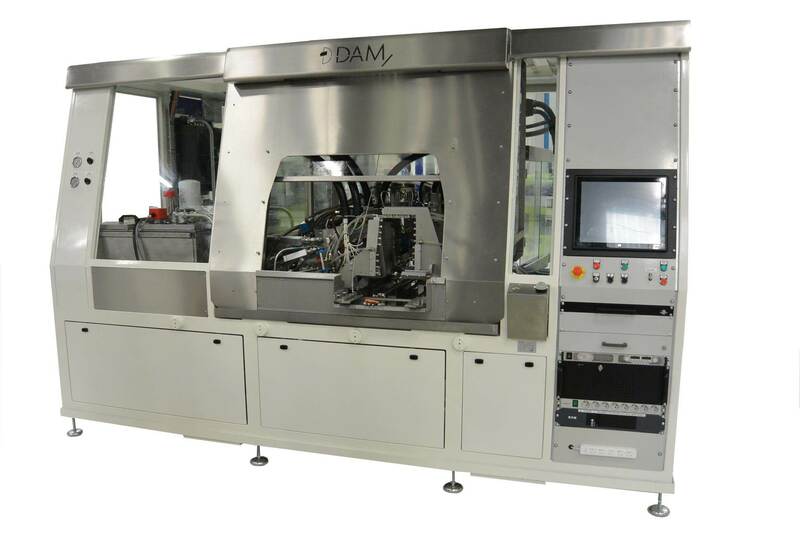 On this basis, DAM has developed a new innovative machine integrated into an Industry 4.0 approach by developing the functionalities of adaptability and connectivity. Focused on Industry 4.0 movement, DAM Group realized the most adaptable hydraulic bench on the market. Adapt the production of different series to the same tester thanks to interchangeable tooling. Please enter your information below and a representative from DAM Group (DAM & DACTEM Développement) will contact you.